At Paws 4 Thought we believe that good training must be at the centre of a rewarding relationship between you and your dog. We offer training classes for Puppies and adult Dogs, as well as more advanced training for owners wishing to gain a little more control. We offer group training classes and 1-2-1 Training. For more information call, please call us today. What do our training classes offer? Puppy training classes run for 6 weeks, starting at regular intervals throughout the year. 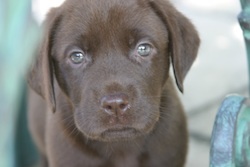 The classes aim to teach your puppy the basics, such as: ‘Sit down’, ‘stay’, and ‘leave it’. We also cover issues such as recall, preventing jumping up, and pulling on the lead. Puppies are also allowed some social time at the end of each class. Each class lasts one hour. 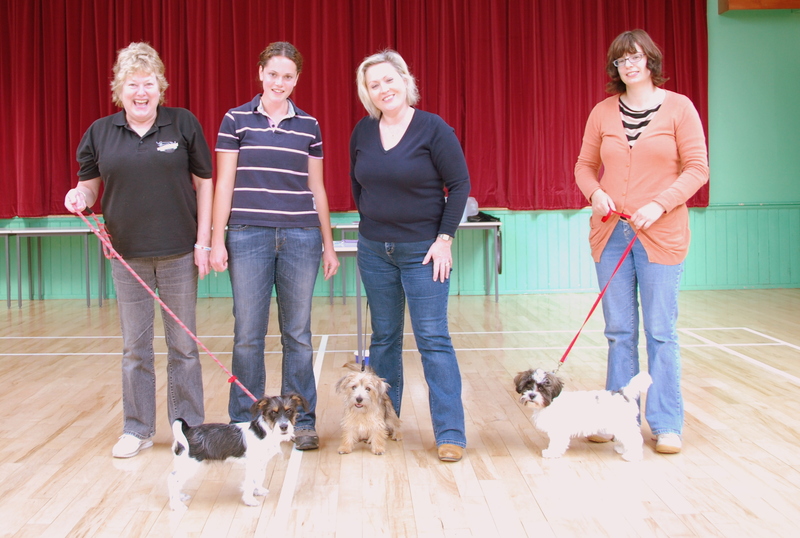 This 6 week course is for dogs over 6 months and with little or no previous training. Basics such as ‘sit down’, ‘stay’ and recall are covered, and we address problems that have developed, such as pulling on the lead, jumping up and distraction around other dogs. During the Summer, two weeks of this may be outside (weather permitting). Following on from our puppy or dog classes, or for dogs with some basic previous training, we offer a four week class for those wanting to achieve a higher level of control. The first 2 classes are based inside and the last 2 classes are in a secure outside location (weather permitting). We practice recall and work on and off the lead to achieve a higher level of control around many everyday distractions. We also include some basic agility which is great fun for dogs and owners alike! Over the summer we run a fun agility club. This is a great way to strengthen the relationship between you and your dog, is enjoyable for the whole family and a great opportunity to meet new doggy friends!